Designed with the beer connoisseur in mind, this barley leaf monogram is customized right on the blue growler. 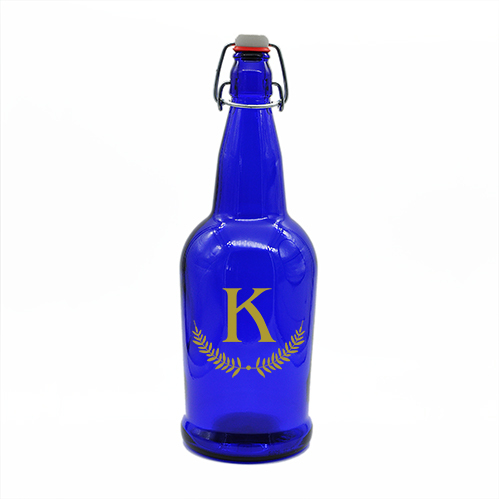 This classic designed monogram featuring a barley leaf is a true representative of what you will add to your personalized 1 liter blue growler. This growler includes a swing top lid that fits tightly over the top of the bottle to keep your hand crafted beer fresher longer. Order yours today or get one for a friend. Choose from a natural etched look or color filled in red, white or gold.